Properties in Méthamis average 4.7 out of 5 stars. 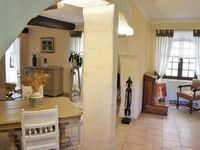 Property 3: Apartment adjoining the owner, in the heart of the Luberon. Property 22: DOWNTOWN, INCREDIBLE VIEW ON THE SORGUE RIVER! 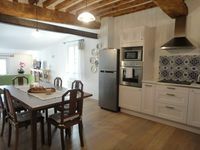 Property 28: T2 apartment with access to the family pool in the Luberon. This apartment recently served as our base for exploring the area and was perfect. First of all, it was absolutely spotless (not overrun with the owner's personal items), had plenty of room and was well appointed for a stay. It was warm and cozy with a wonderful view of the square and a charming balcony off of the upstairs bedroom. As other reviewers have mentioned, the steps are funky but added to the overall charm (they could be difficult for those with mobility issues, as the water closet is on a different floor than the bedroom). The town is lovely and everything you could want is a short walk away. To top it off, Celia made communication and check-in easy. I cannot recommend this apartment enough. Celia, thank you for making your place available (and for the bottle of wine! ).